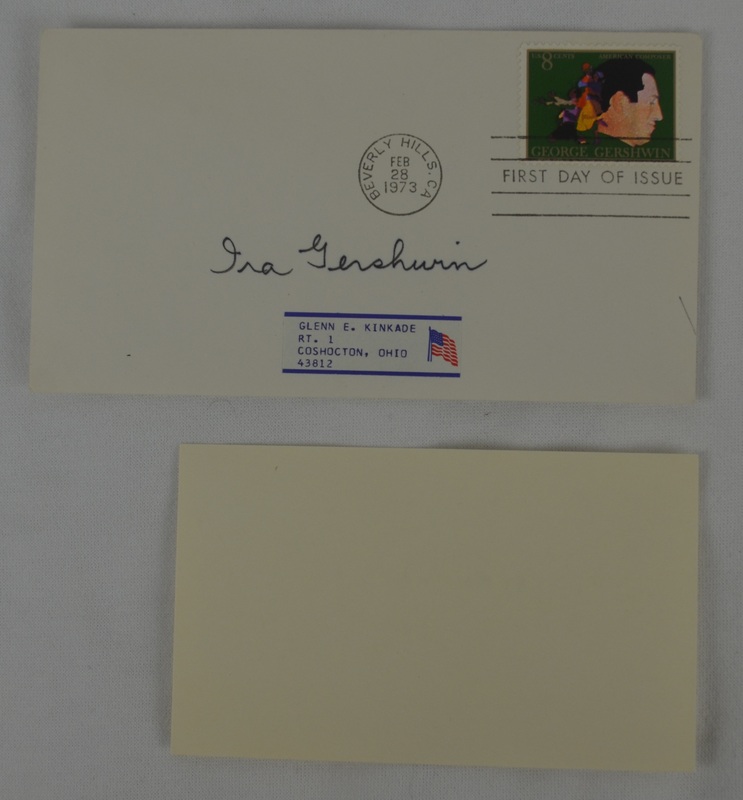 This First Day Cover dated February 28th, 1973 has been signed by Ira Gershwin in black pen. Gershwin was an American lyricist who collaborated with his younger brother, composer George Gershwin, to create some of the most memorable songs of the 20th century. With George he wrote more than a dozen Broadway shows, featuring songs such as "I Got Rhythm", "Embraceable You", "The Man I Love" and "Someone to Watch Over Me". He was also responsible, along with DuBose Heyward, for the libretto to George's opera Porgy and Bess. The success the Gershwin brothers had with their collaborative works has often overshadowed the creative role that Ira played. His mastery of songwriting continued, however, after the early death of George. 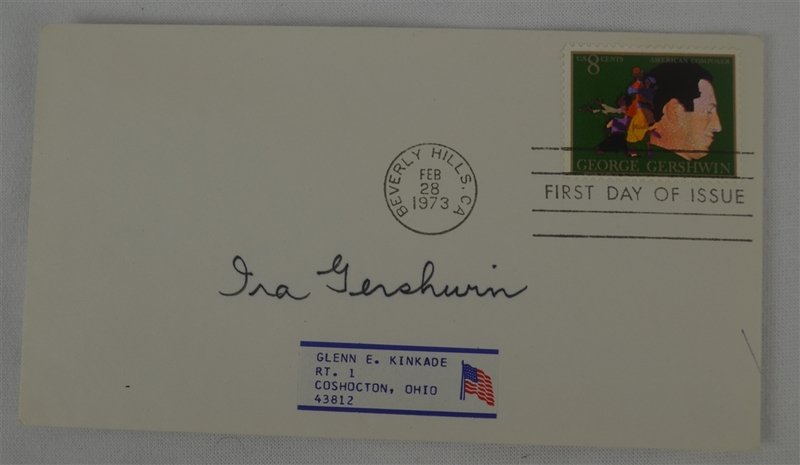 He wrote additional hit songs with composers Jerome Kern, Kurt Weill and Harold Arlen. His critically acclaimed 1959 book Lyrics on Several Occasions, an amalgam of autobiography and annotated anthology, is an important source for studying the art of the lyricist in the golden age of American popular song. 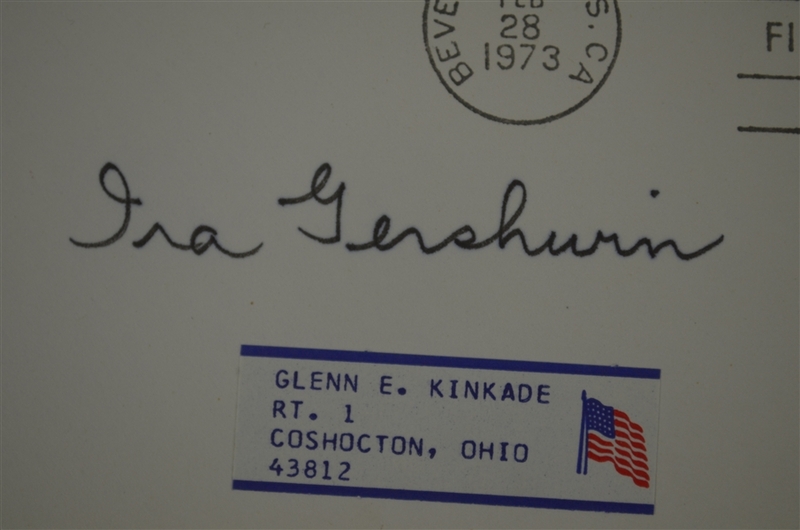 Gershwin passed away back in 1983 at the age of 86 making his signature a particularly coveted and difficult one to obtain.